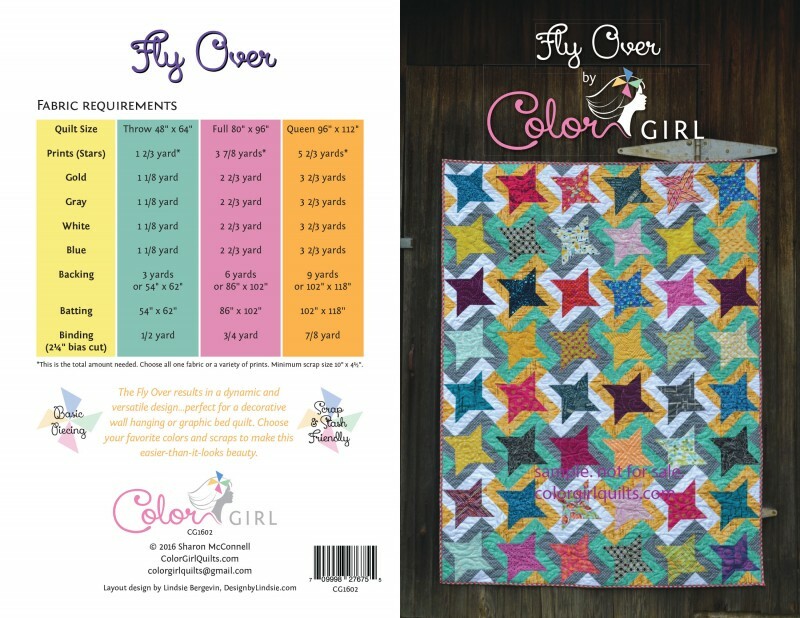 Thank you for your interest in Color Girl Quilts patterns and the Classic Curves Ruler! The patterns shown below are available in print at wholesale prices. 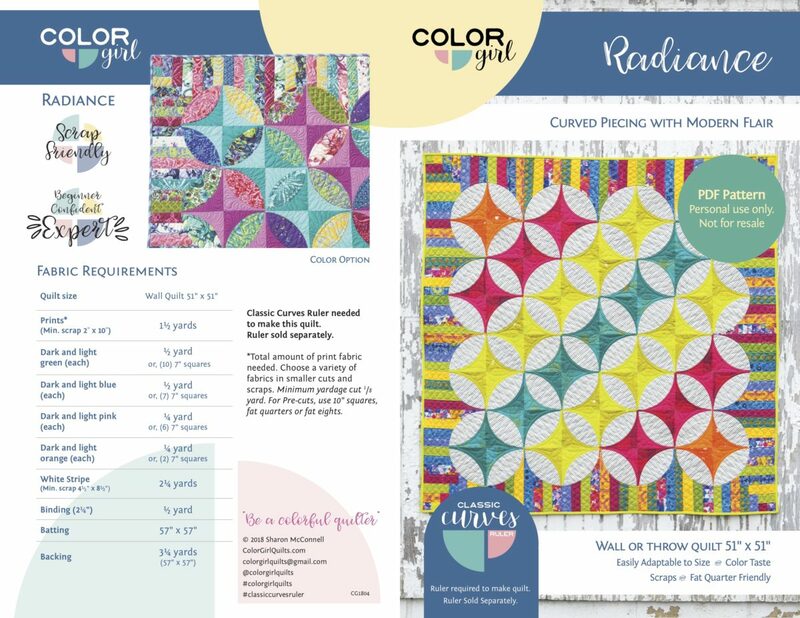 Patterns are available in all skill levels and using a variety of techniques…perfect for your classes. For more details on the Classic Curves Ruler, click here. Ruler is available wholesale on this site. Sign up for account below. Many patterns use pre-cut fabrics, making them ideal for kits. Please scroll down to see the cover samples. See right sidebar to sign up for my wholesale mail list and get coupons, free patterns, special pricing, and updates on new patterns. 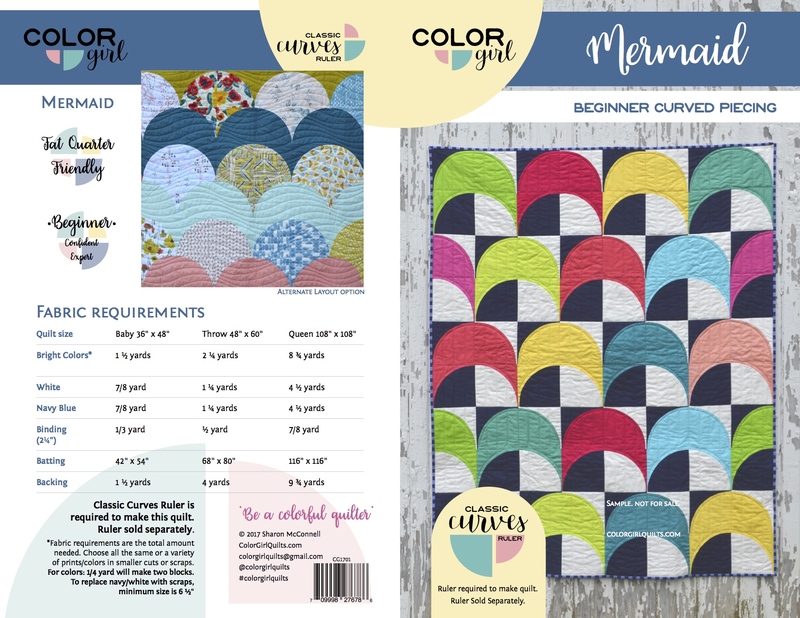 You may e-mail me directly *colorgirlquilts (at) gmail* (contact form here) if you have questions or comments on patterns. 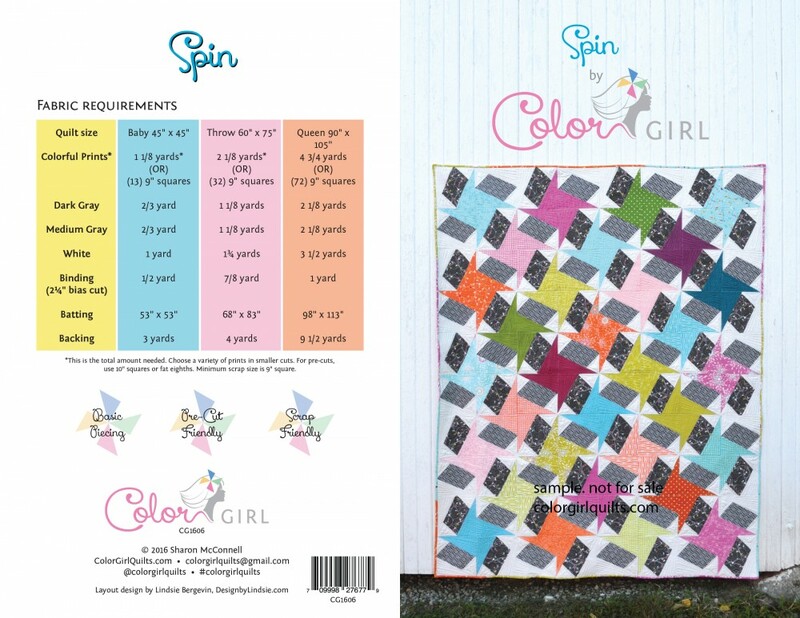 Please ask for Color Girl patterns from your sales representative, or sign in below to order directly from me. I thank you for your business! International orders are welcome. Register an account here. 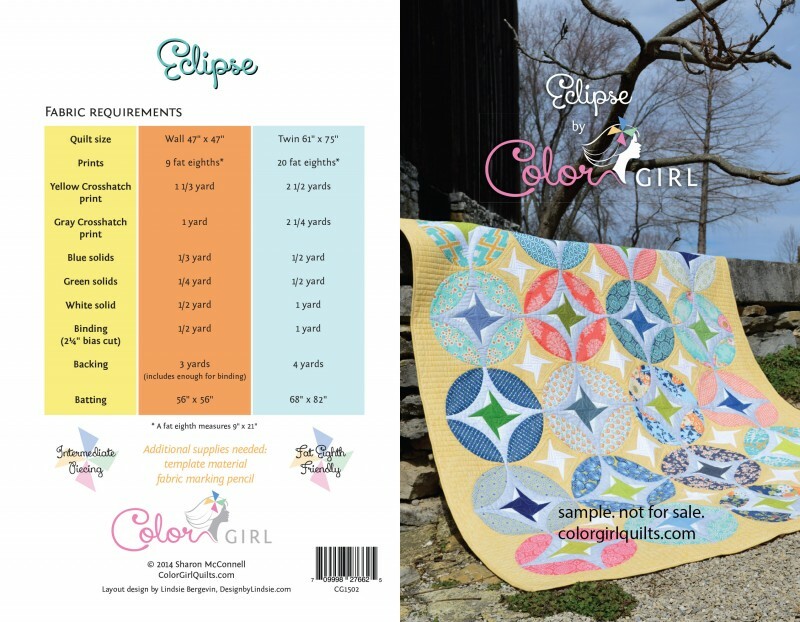 If you are already registered as a wholesale buyer on colorgirlquilts.com please log in here. If you would like to register as a wholesale buyer please complete the following form. You will be notified via email when your application is processed. Radiance: pattern for the Classic Curves Ruler. Quilt size: 51″ x 51″. Ideal for 10″ squares, fat quarters and kitting. 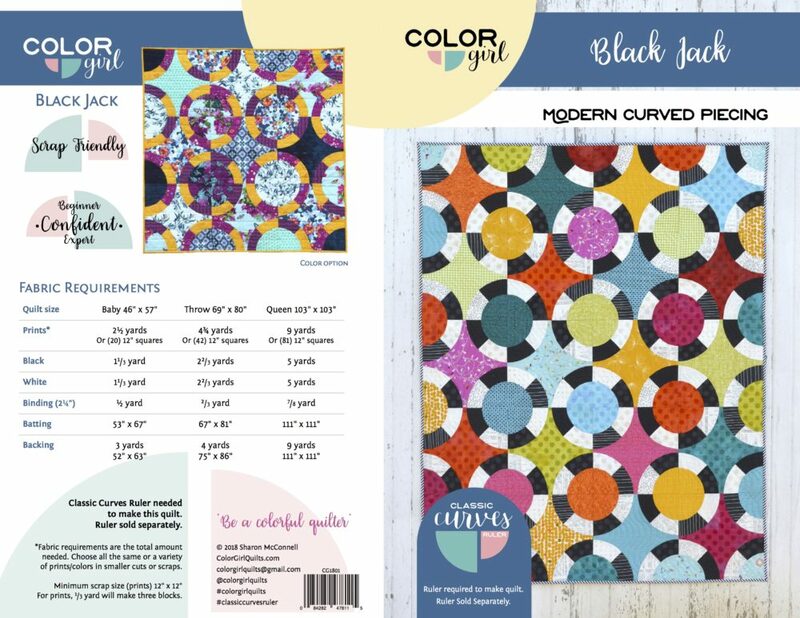 Black Jack: Easy curved piecing pattern for the Classic Curves Ruler. This graphic design looks great in any color combination. Large pieces show off fabrics, ideal for shop sample. Eclipse pattern for the Classic Curves Ruler. Pattern includes three size options. 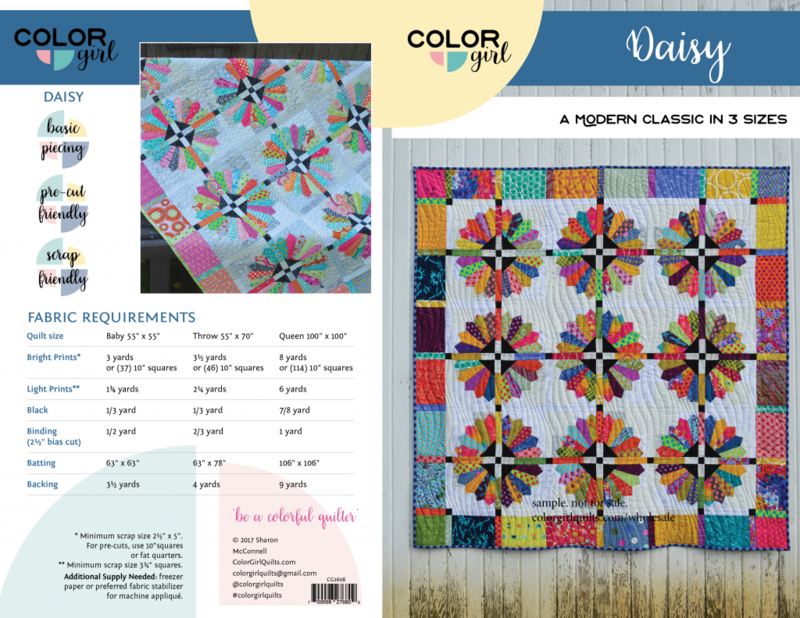 Full color, detailed instructions and illustrations for cutting with the CCR and sewing the quilt. Whimsy Garden: colorful, sweet design using the Classic Curves Ruler. Includes three sizes, printed full color booklet format. Techniques include curved piecing and easy appliqué: ideal for class project. 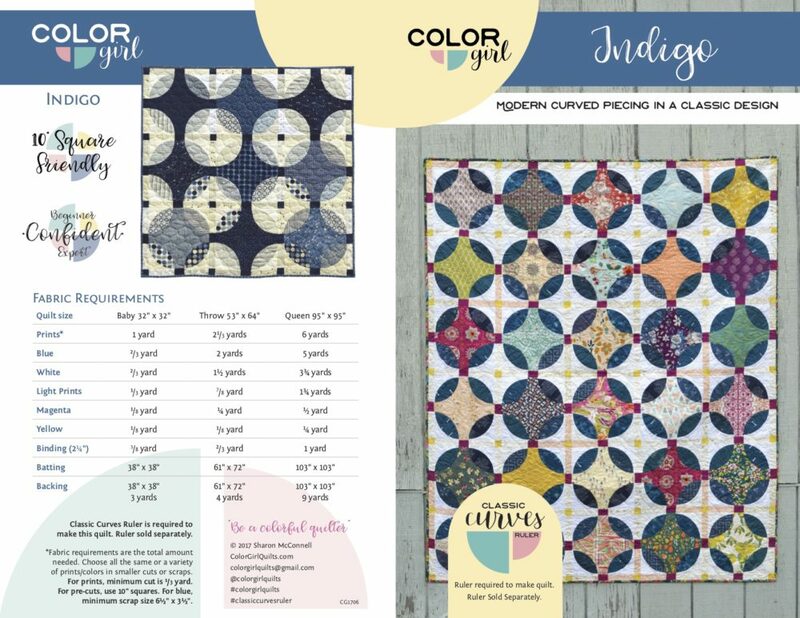 Indigo Quilt: unique design for the Classic Curves Ruler. This slightly challenging pattern makes a great class project. Three sizes, ideal for 10″ squares. 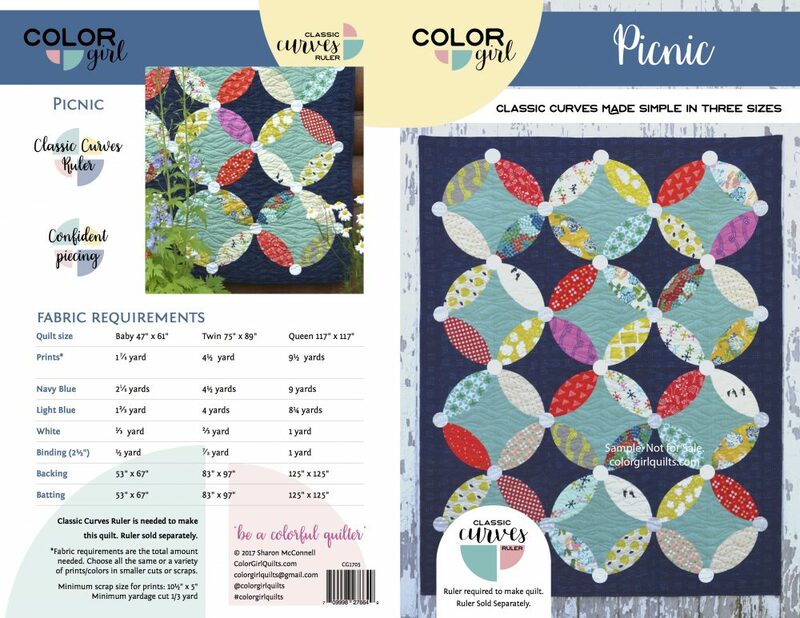 Picnic: Curved Piecing and appliqué. Three sizes, for use with Classic Curves Ruler. Ideal for classes! 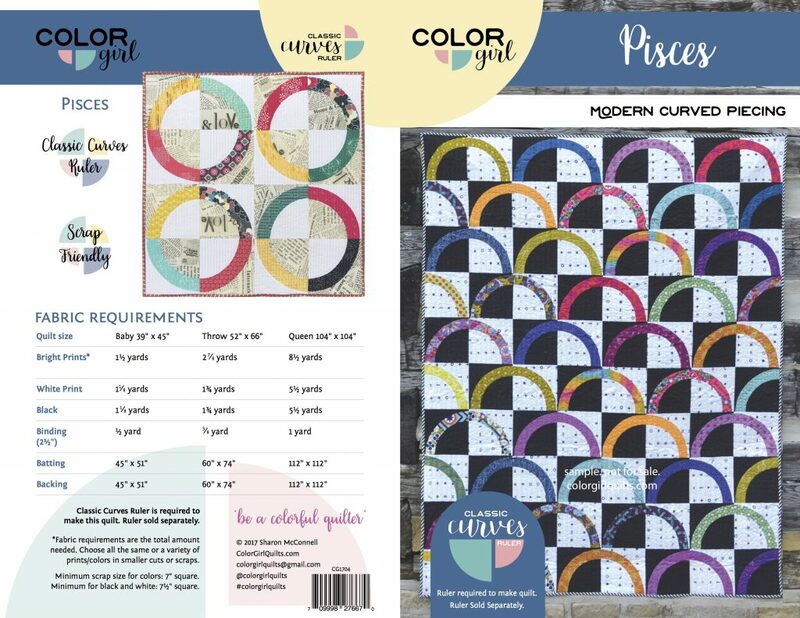 Pisces: Basic curved piecing. For use with Classic Curves Ruler. Three size options. Easy curved piecing ideal for beginners or quick make. Includes three size options. Printed full color, booklet format. Pixie Medallion: modern classic! Basic piecing throughout, no templates or special techniques needed. Full color, fully illustrated pattern booklet with coloring page. 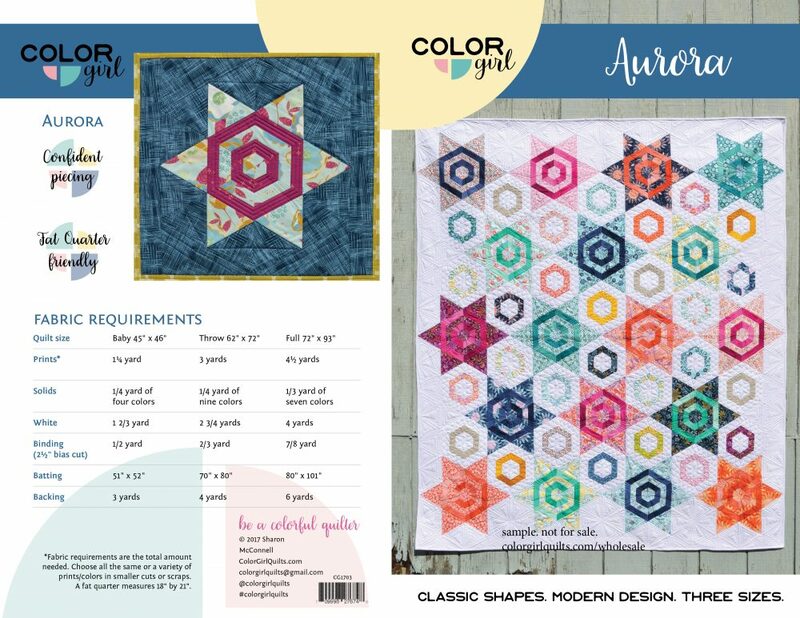 Aurora: Basic piecing and dynamic star design ideal for bundles or kit. Three size options. Daisy: three size options. Ideal for pre-cut 10″ squares. 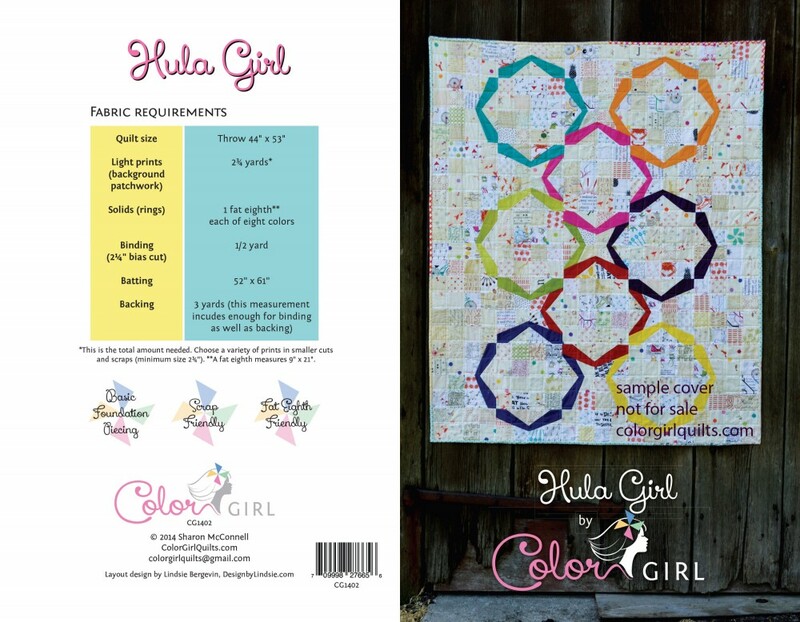 Hula Girl: Learn to paper piece! Beginner level paper-foundation piecing with fully illustrated instructions and tips. Pattern is printed in booklet format in full color with full size template. Fly Over: basic piecing. May use 5″ charm squares and 2 1/2″ strips. Three size options. 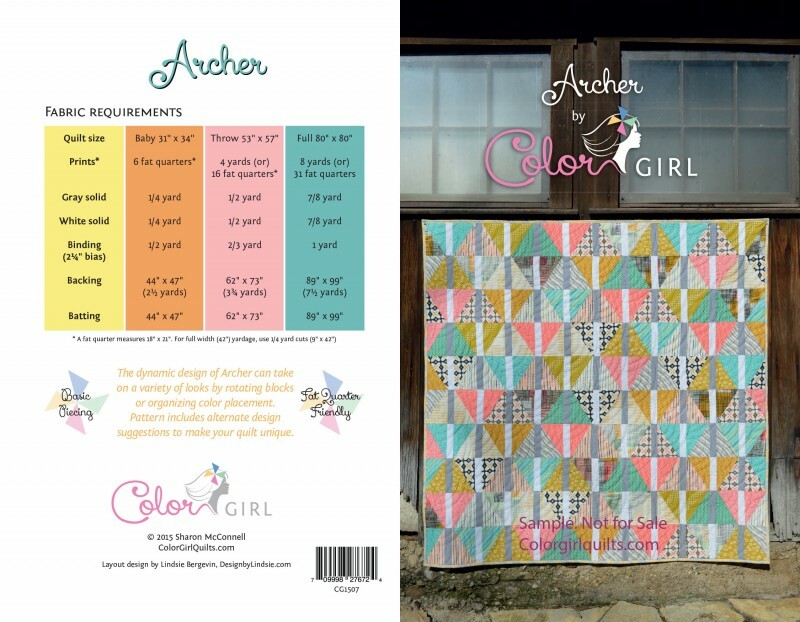 Archer: Beginner Piecing, Fat Quarter Friendly…perfect for kits and bundles. 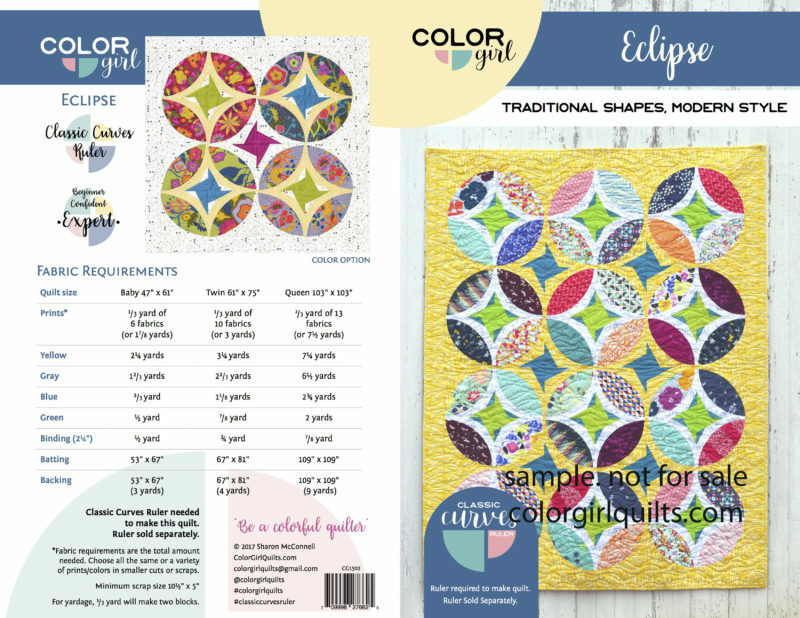 Eclipse: basic curved piecing. Fat Quarter/eighth friendly…great for kits and classes. 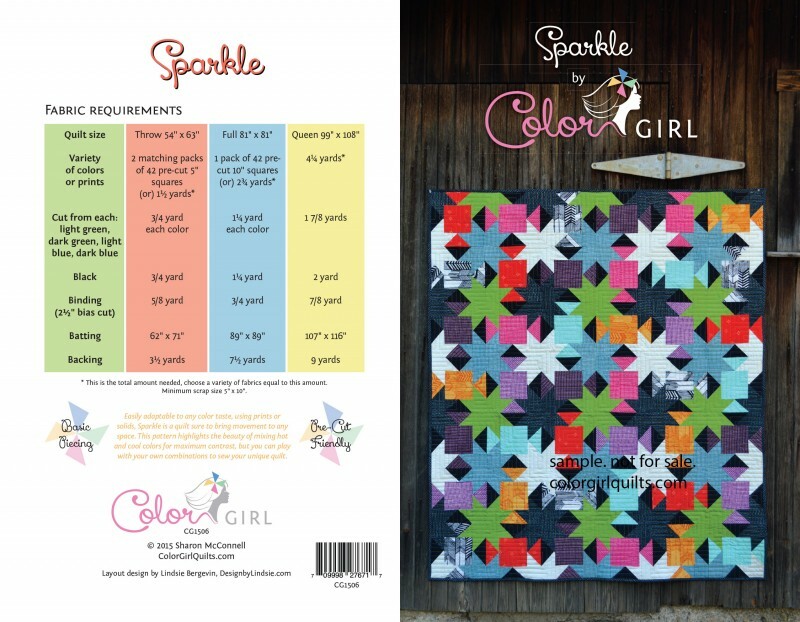 Sparkle: includes three sizes, beginner level piecing. 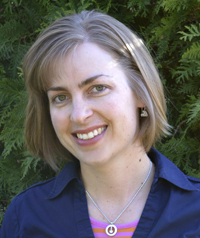 May use 5″ or 10″ pre-cut squares. 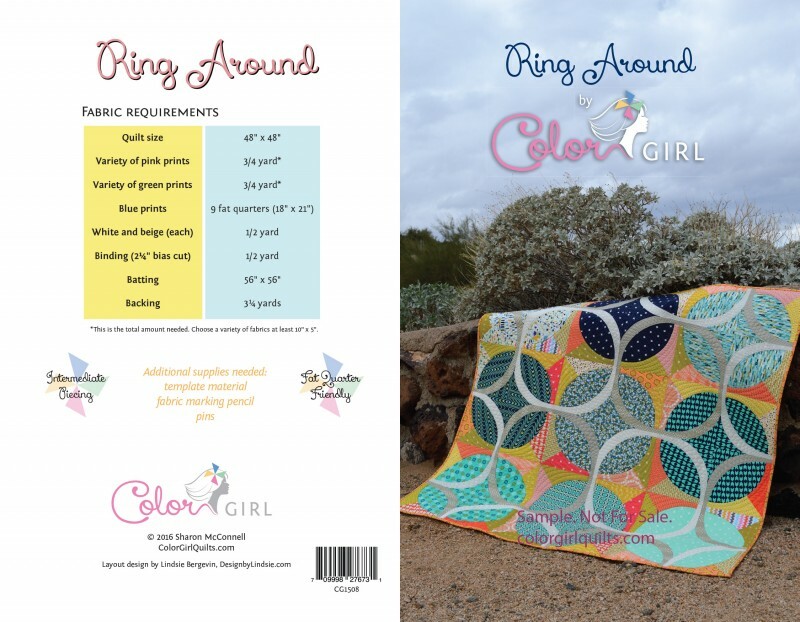 Ring Around: Intermediate curved piecing…A great class quilt! Full size templates included. 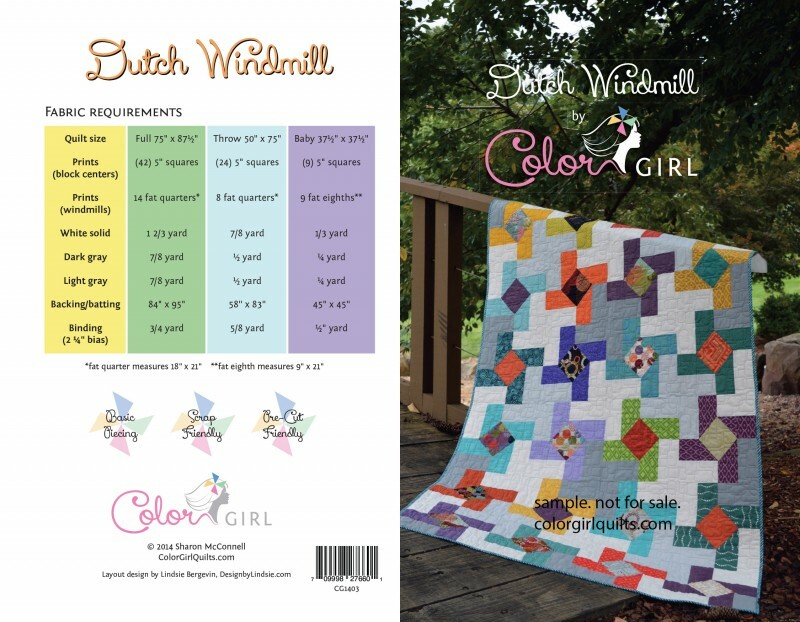 Dutch Windmill: beginner level piecing. 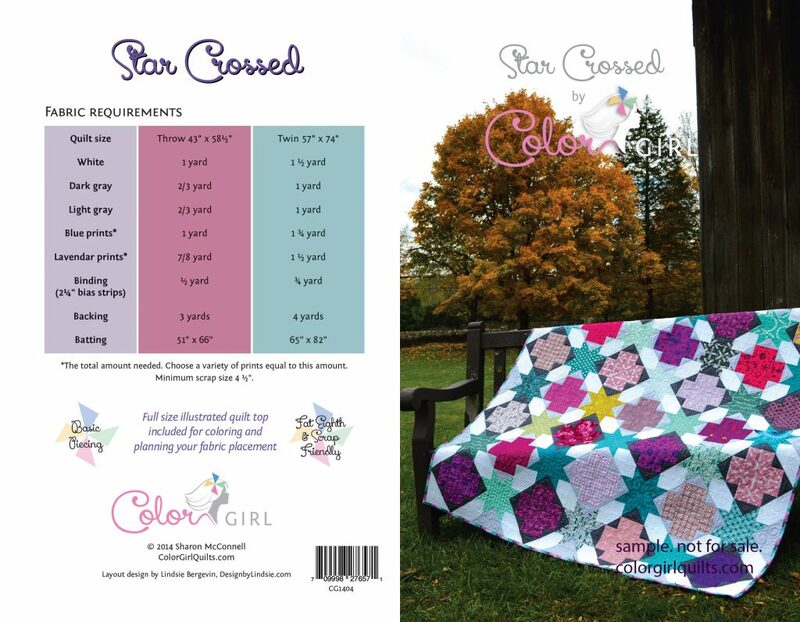 Includes three sizes and may use 5″ pre-cut squares. 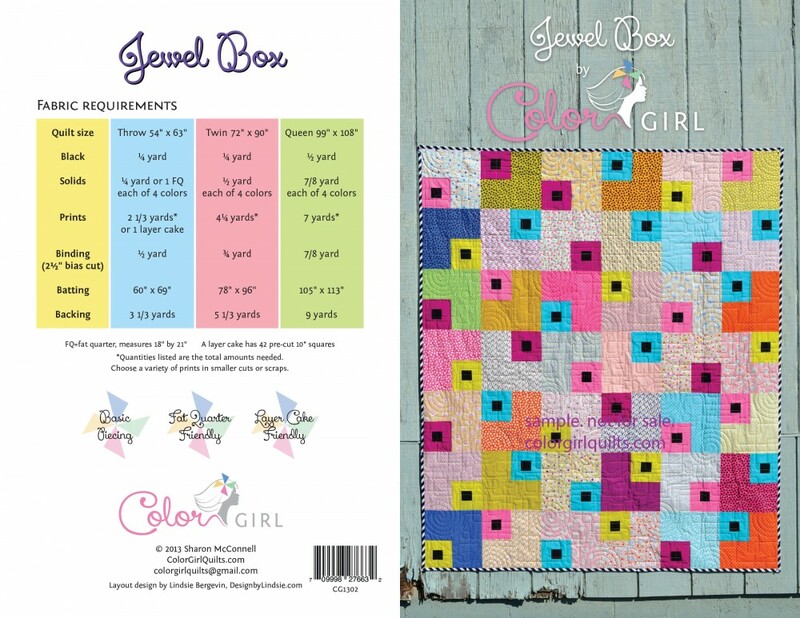 Jewel Box: beginner piecing, ideal for 10″ pre-cut square sets and fat quarters. Includes three sizes. 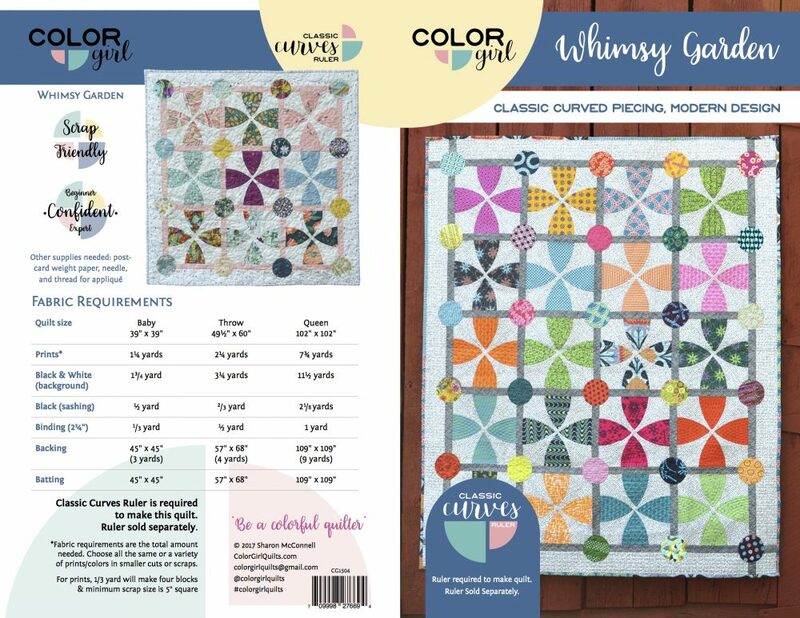 Tipsy: beginner curved piecing, an ideal class quilt. Includes three size options and full size template. 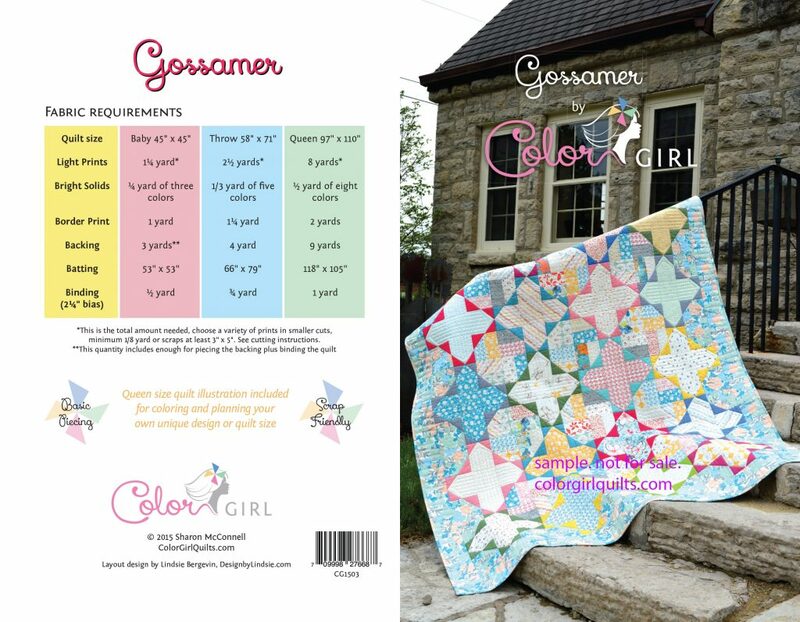 Gossamer: Includes three size options for beginner piecing. Soft, colorful beauty shows off pretty fabrics. 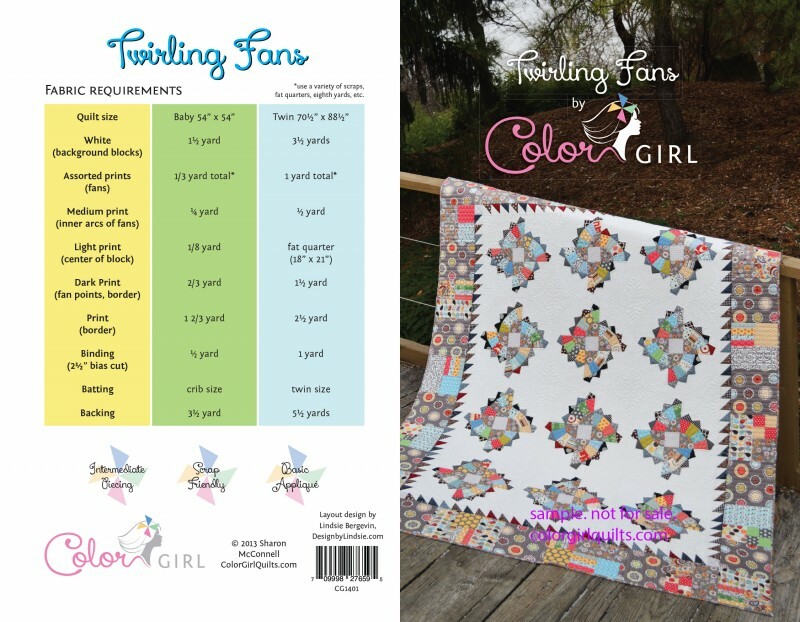 Twirling Fans: confident beginner level with piecing and basic machine appliqué. 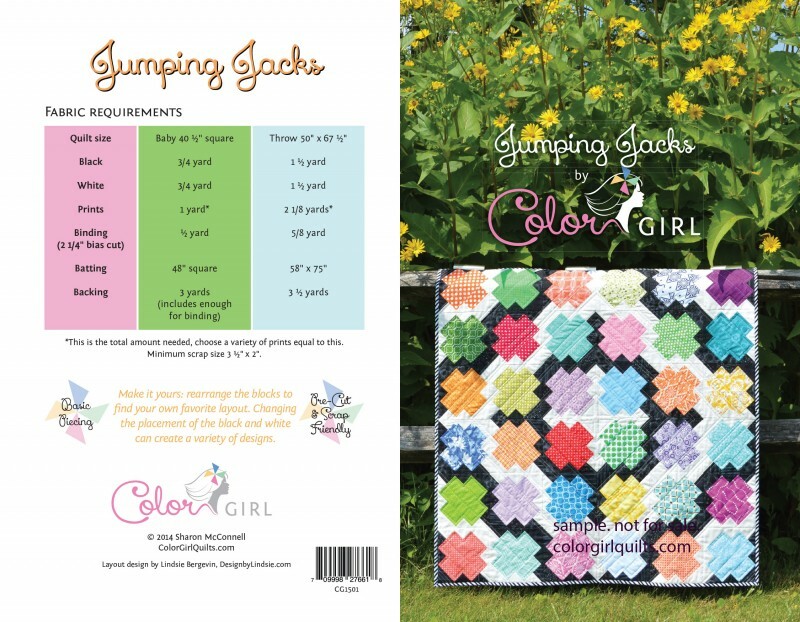 Jumping Jacks: beginner piecing with options to make layout unique. 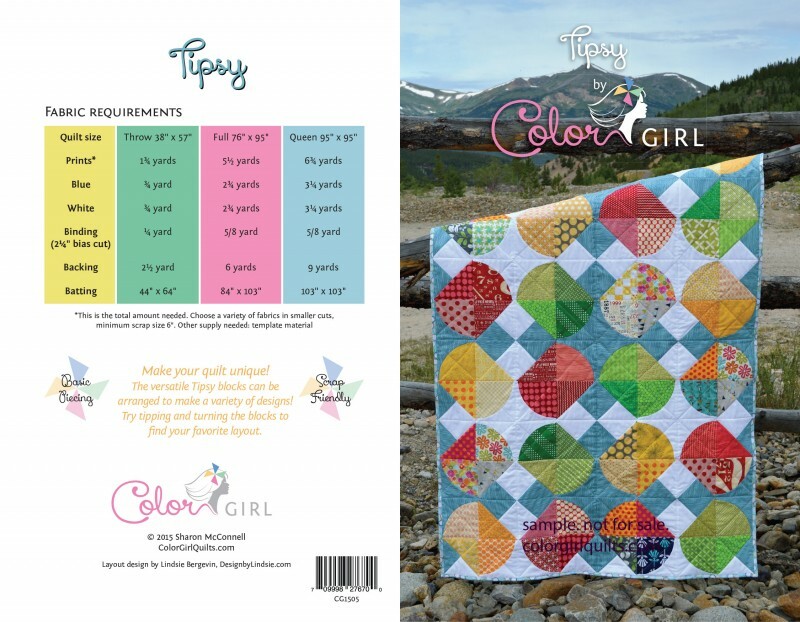 May use 10″ pre-cut squares. 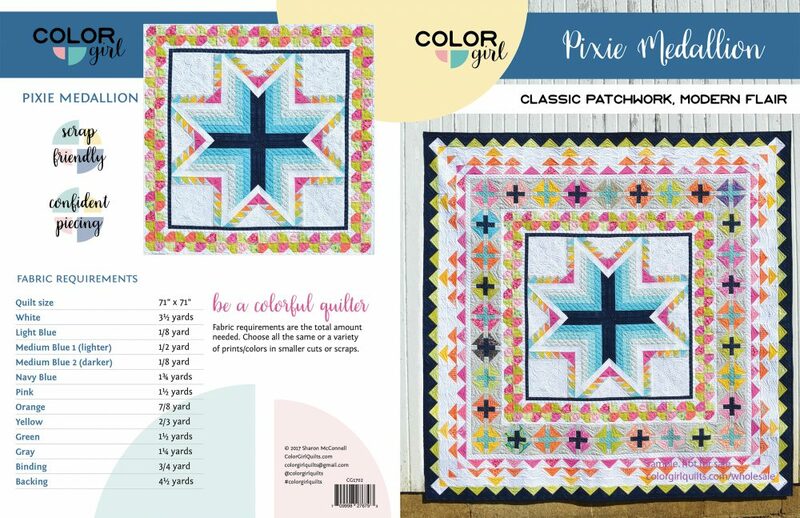 Star Crossed: perfect for the traditional quilter…with a modern flare! This quilt is perfect for showing off beautiful fabrics.